Want to Observe But No Telescope? 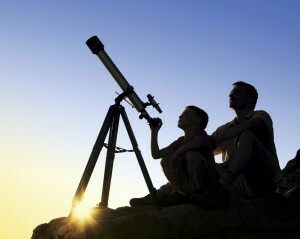 You don’t have to own a telescope to participate in our Star Parties. You can use one of ours that we’ve set up for your viewing pleasure, or if you really want to slew one around the starry skies yourself, you may opt to use one of the loaner scopes at no charge (for members only). 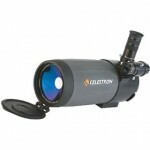 These scopes are easy to transport and easy to set up, and fairly easy to use. You must be a member of the club to use these telescopes. Operating and care instructions are provided personally, face-to-face each time a telescope is checked out. Telescopes are very delicate instruments, not only the optics but the operating mechanisms must be treated with utmost care. This is fine, expensive equipment and should be treated accordingly. We also have our Mentoring Program that you might find useful when getting started with this hobby! 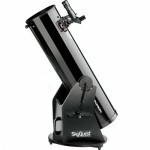 4-inch SCT (Schmidt Cassegrain Telescope) spotting scope. Requires a camera tripod for use. 6-inch f/4 Newtonian on a clock-driven equatorial mount. 6-inch f/5 Newtonian on a clock-driven equatorial mount. 6-inch f/8 Newtonian on a clock-driven equatorial mount. 8-inch Celestron SCT C-8 on a clock-driven equatorial mount. The CCAS welcomes the donation of telescopes and related equipment. 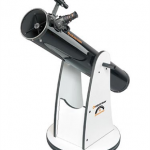 There are many budding astronomers who do not yet have a telescope, so having telescopes available for loan is an excellent way for them to learn telescope operation and to help them decide on the type and size of scope they might want to buy. Having a number of club telescopes also supports our community outreach star parties! Interested in borrowing a scope?